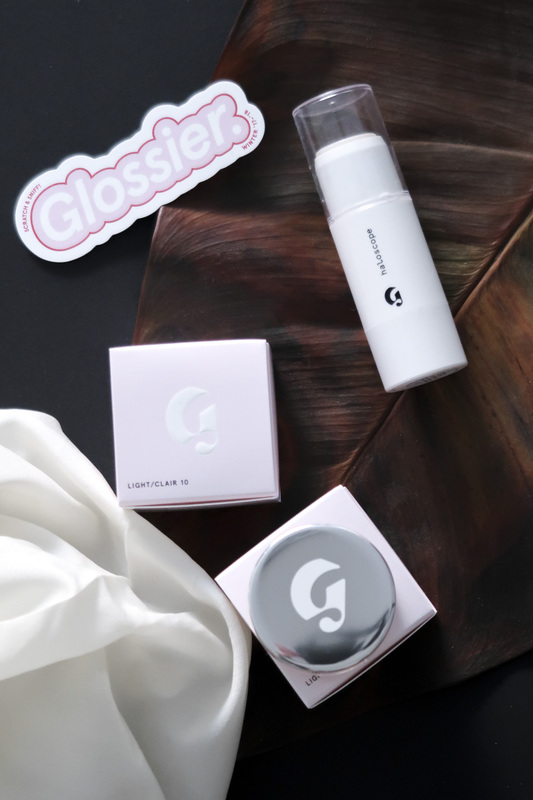 Because the Glossier Pop-Up is almost a tourist attraction for parents… right? In my world this can be described as the stars aligning and all the forces in the world being on my side. 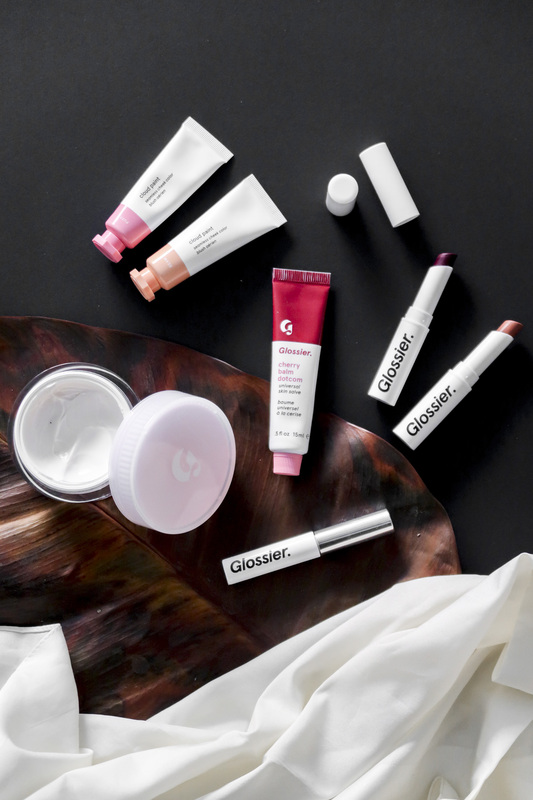 Because exactly the weekend my parens were going on a trip to London, the Glossier Pop-up opened. This covers up any dark circles or redness in a natrual way that makes the skin glowy and keeps it looking like skin! I think it’s a bit light reflecting which makes it camoflauge any imperfections without it being to thick in texture. This was a bit of a gamble for me. I had just bought the Fenty Killawatt Highlighter Duo which in my opinion is the perfect highlighting powder and shade (Even though Becca Shimmering Skin Perfector Pearl and Laura Mercier Matte Radiance Highlight still are amazing). So why would I even need another highlighter? But when it’s a once in a lifetime (or at least once in a couple of years) you just try it! And I’m so happy I did because this highlighter is the most natrual but still glowy – fresh skin – you have slept 20h and become 10 years younger – highlighter. It’s simlpy so beautiful. Because I really liked The Birthday Balm Dotcom I though I would try another flavor. Being reminded of my first ever Cherry rollerball lipgloss when I was little. I just had to try this “adult” version! These lipsticks has been super hyped in the online world. But I’m not 100% sure. They are pretty, but a bit too sheer for me. Probably another one of those products that I’ll completely love during spring/summer. But right now I’m batteling red cheeks with an even redder lipstick (Mac Chili). So I’ll save them for later! Love the shades though. This is another one of the super hyped up products. I had planned on buying both the Clear and the Blonde version but when this list started to go out of this world something had to go. 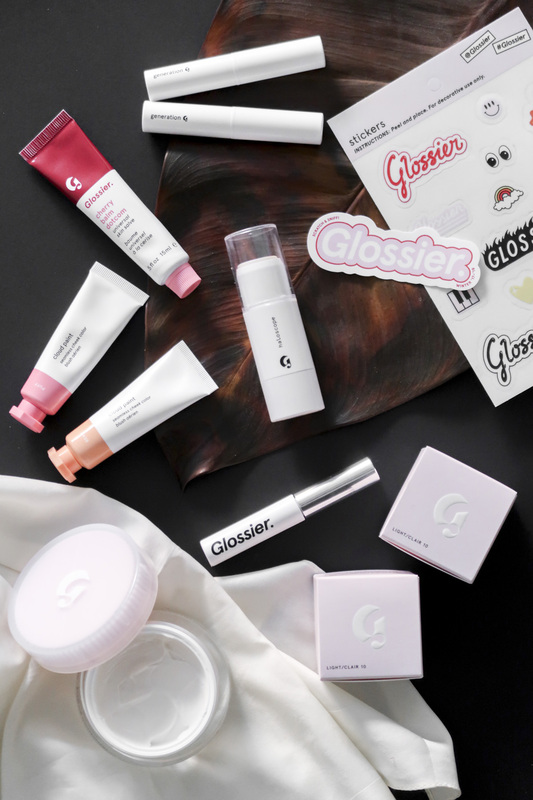 (NOT buying the blond version of Boy brow and Glossier You I’m still regretting that a bit because the You sample I got smelled amazing!!) This is a kind of scary brow product when you apply it. It really looks milky white and a bit sticky. But when it dries our all traces of it dissapears and the brow dont feel like hay. They are just soft and magically stays in place. So I’m really warming up to this one! Let’s start this with “My skin HATES winter”. So now that that’s out of the way. Lets talk about the Moisturizer Rich. I love the thick texture of the cream and it smells good in a layed back way. It’s also really moisturizing, almost pore cloggingly so if you use too much. So it’s super hydrating with a risk of it giving you pimples. But I’m not going to say that it’s 100% the moisturizers fault because as I said before: My skin hates winter! And a huge thank you thank you THANK YOU to my parents for helping me keep the makeup geeking alive!